We've created a large number of business website categories for everyone to work with. If your sector is not on the list, then this is the business site for you. This generic web design template is versatile and offers a high degree of flexibility to suit any business. It includes a search bar, a contact form and email a friend functionality. It contains 4 galleries and you can add a PayPal shopping cart and take customer payments online, directly from its web pages. Follow our SEO tips, optimise this site for search engines and then monitor your progress using Google Analytics. As with all our websites, you can brand this site and modify it to suit your exact business needs. 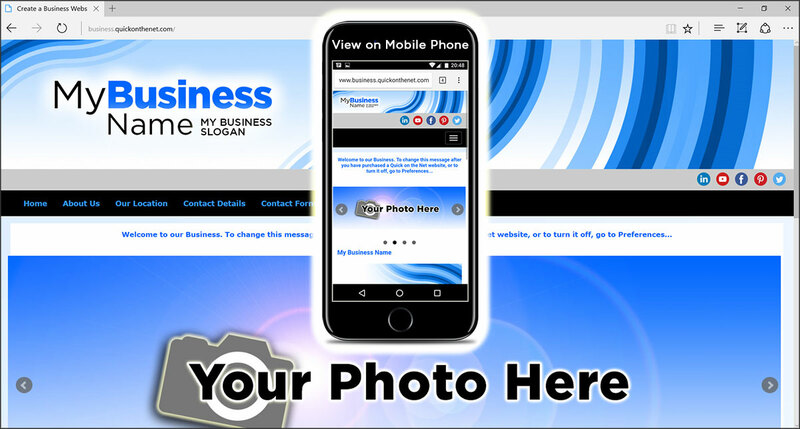 If you already have your own company logo, you can upload your JPG or GIF pictures and quickly change design to suit your requirements.